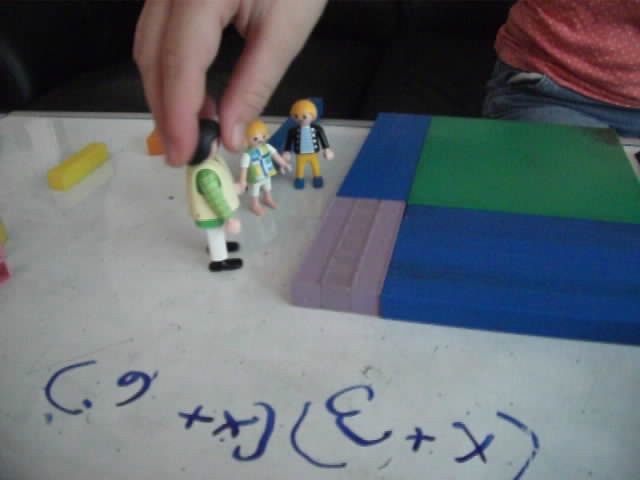 Lola, Ruby and Opra help teach ALGEBRA. The whole video is 21 minutes long and can be found along with some other exciting and fun vids here. You can view them for as little as 3 bucks, which is what a two month password costs...or a year pass for 12 bucks...right now there are lots of math VIDEOS on that page alone lasting several hours. Everything from building tens to complex algebra...the page also contains links to a secret screencast page that has several more hours of vids on everything from percentages to 3rd and 4th power algebra, all presented in a way that even little kids can understand. All with one password. That same password unlocks pdf downloads too, including First Grade Math Worksheets, Fractions Worksheets and more. Or you could spend 20 bucks on a crappy DVD filled with mindless entertainment...or a really overpriced (but delicious) sugar filled coffee drink for 3 bucks...if you get the small size. Feed your mind instead. And then you can feed the minds of others...of course there is a ton of FREE STUFF, pages and pages worth here on this blog and at Crewton Ramone's House of Math.